A little heads up on a new project that I will be contributing to - 'Starship Ajax'. This is a new Trek fan production gearing up in Oklahoma City. The production crew have managed to aquire a full bridge set from the now 'on hold' 'Starship Exeter' - http://www.exeterstudio.com/. They have secured hanger/warehouse space and will be erecting a number of standing TOS sets which they aim to offer to other productions to use. 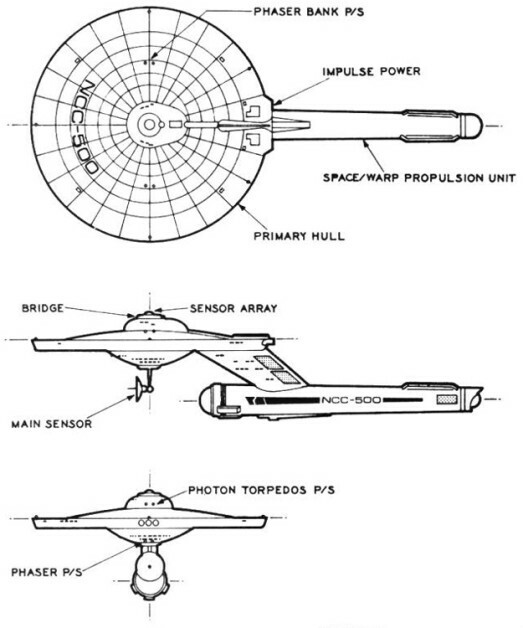 The USS Ajax, NCC-547 is shown in the original Frank Joseph 'Star Fleet Technical Manual' originally released in the 1970's and still available today. It is classified as a Class I Destroyer or the Saladin class. It even gets a nod from official Trek canon, having been featured on bridge displays seen in the background in ST:TWOK. What has attracted me to this project is a desire to re-create the look of the 60's style effects. 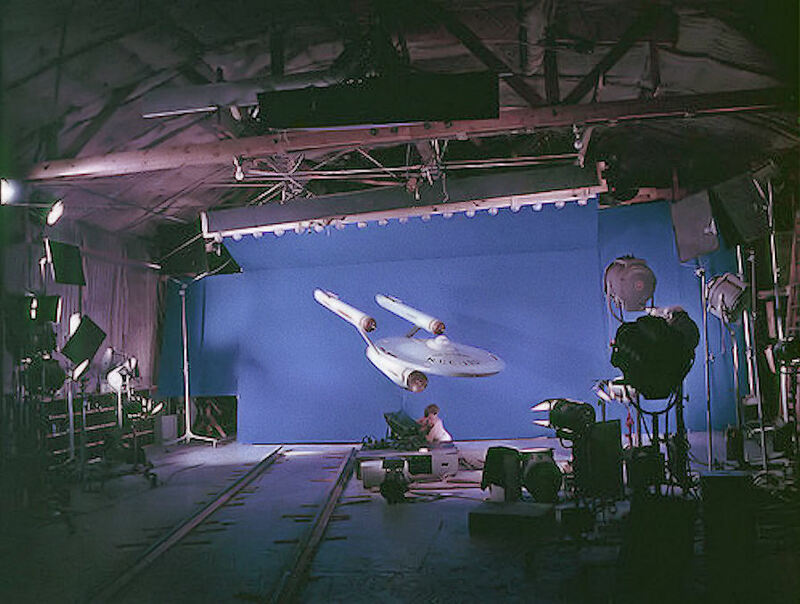 Rather than the shiny new, photoreal effects of other productions, they want the work to look and feel as close to original Trek as possible. 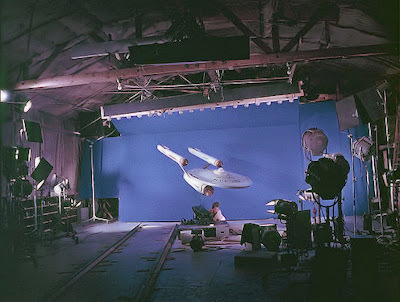 These limitation make for an interesting technical challenge - rather than building a full scale CG spaceship and placing it in a physically real space environment, the approach will be to build a ship in scale to the original TOS 11 foot Enterprise miniature and light and film it as if it is in a studio. May not be to everyones taste, but it does represent a chance to try something different. My first task is to build the venerable Ajax herself. Very much a work in progress at the moment, but she is starting to take shape nicely. It certainly does sound like a challenge. As much as it has its detractors, I have a soft spot for 'Enterprise'. Trying to get a retro look for a modern audience was always going to be a hard ask but I think the crew at Eden FX as well as the rest of the art department did an admirable job. You have wandered in to true nerd territory with the whole 'single nacelle' debate! Theoretically, the Ajax should be able to deliver as much power as the TOS Enterprise since it has a similar engine room. 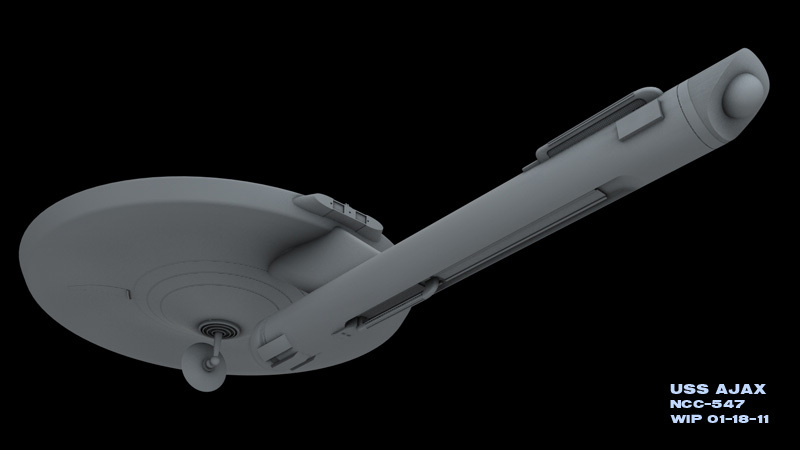 The debate hangs on whether a single nacelle can form a stable warp field. Gene Roddenberry, I think, stated in the TOS writers bible that two nacelles were needed to form a stable warp field geometry. However, the inclusion of the Ajax design on viewscreens in ST:TWOK, in the eyes of some, does give a single nacelle design some credence. Robert Simmons here. I can answer your question about the Destroyer with one engine and the power available having gamed this class of ship in combat over the years. 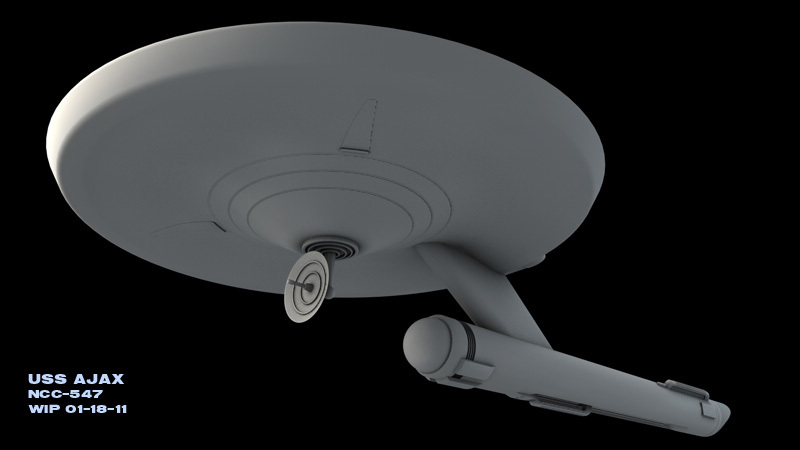 IT does have the same type of engine room but the core is scaled to accomodate the demands of the ship and engine while giving it just enough power to move or fight...but not enough to do both like a TOS cruiser. 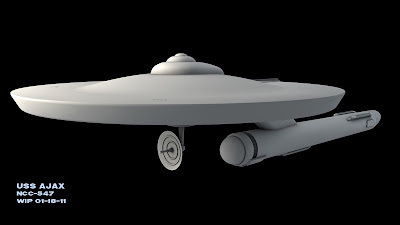 So it will present a whole new face on combat with this class and will require a gutsy captain.This class does have almost the same armament as the TOS cruiser but that does not mean much if you shoot and then have no power left over to run away from your opponent. As to the stable warp comments...should boil down to this...2 warp engines would provide a more stable cradled push on the ship on both sides to make a more stable pull and tug on the surrounding space similar to a train going down 2 rails. 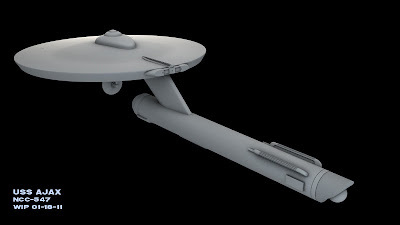 A one nacelle ship would have harder time of having one field to push against the other and it would be more tricky like trying to balance on the top of a pole. I do like the look having seen it in books and drawings and miniatures since i was a young boy. 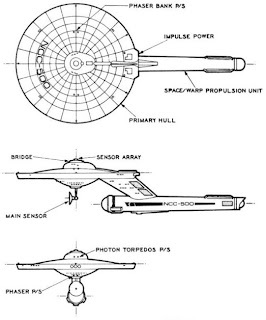 And besides it offer the original appeal of TOS trek Retro Future we all remember from childhood. Don't get me wrong I loved 'Enterprise', I never got to see the end of it...not sure why? !